Ticket Summit Keynotes: Hear from AXS, Ticketmaster, Legends, StubHub, SeatGeek, and more! Ticket Summit 2018 is just around the corner and the conference is set to feature two stellar keynote panels, Worldwide Trends in Live Events and The Ticketing Industry. On Tuesday, July 17 at 1:30 PM, join experts from every corner of the sports and live events entertainment industry for a lively discussion about trends that might affect your business. In Worldwide Trends in Live Events, hear directly from key leaders including Shawn Doss, VP of Business Development, Elevate Sports Ventures; David Marcus, EVP, Head of Music, Ticketmaster; Bryan Perez, CEO & President, AXS; and Mike Tomon, COO, Legends. These leaders will discuss current issues affecting sports ticketing and ways that brokers can capitalize on current trends and expand their business. On Wednesday, July 18 at 3:30 PM, Ticket Summit will wrap up with The Ticketing Industry, featuring leaders of the major ticket exchanges. Speakers include Curtis Cheng, CEO, DTI Management; Russ D’Souza, Founder and President, SeatGeek; Michael Katz, Sr. Director, Head of Supply North America, StubHub; Larry Plawsky, Senior Vice President and General Manager, Ticketmaster Resale; and Don Vaccaro, Founder and Chairman, TicketNetwork. 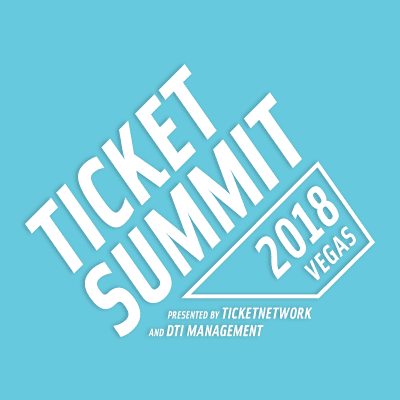 The Ticket Summit schedule also includes speaking appearances by representatives of 1Ticket, Broker Genius, Duke University, Event Tickets Center, Google, NCAA, Paciolan, SCORE Las Vegas, TicketFire, and more. Ticket Summit 2018 will be held July 16-18, 2018 at Caesars Palace Las Vegas. The current price for an All-Access Pass is just $749, but it’s going up to $799 this Friday, June 8. Register now on the Ticket Summit website. Exhibitor and sponsor opportunities are still available for Ticket Summit 2018. For more information, email [email protected].